Connect audio and video components with the help of this CE Tech Cable. 15 ft. coaxial cable with nickel-plated RCA connectors. RCA connections include red/white jackets for audio and yellow for video connection. 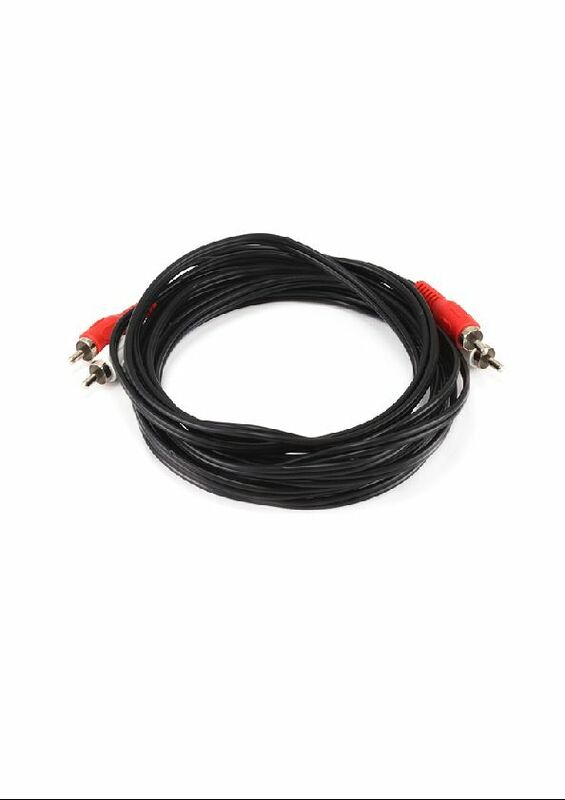 15 ft. Dual Audio Cable with RCA Plugs in Black Connect audio and video components with the help of this CE Tech Cable. 15 ft. coaxial cable with nickel-plated RCA connectors. RCA connections include red/white jackets for audio and yellow for video connection. 15 ft. Dual Audio Cable with RCA Plugs in Black is rated 4.2 out of 5 by 26. Rated 1 out of 5 by Matt from Very low quality and flimsy.... Very low quality and flimsy. Rated 5 out of 5 by HomeDepotCustomer from Did job as expected. ... Did job as expected. Rated 4 out of 5 by JHG from The cables worked just fine. ... The cables worked just fine.